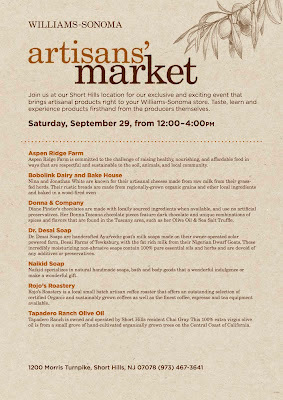 This Saturday the 29th from NOON until 4PM, please come and visit Chai Gray at the Artisans' Market at Williams-Sonoma in the Short Hills Mall. 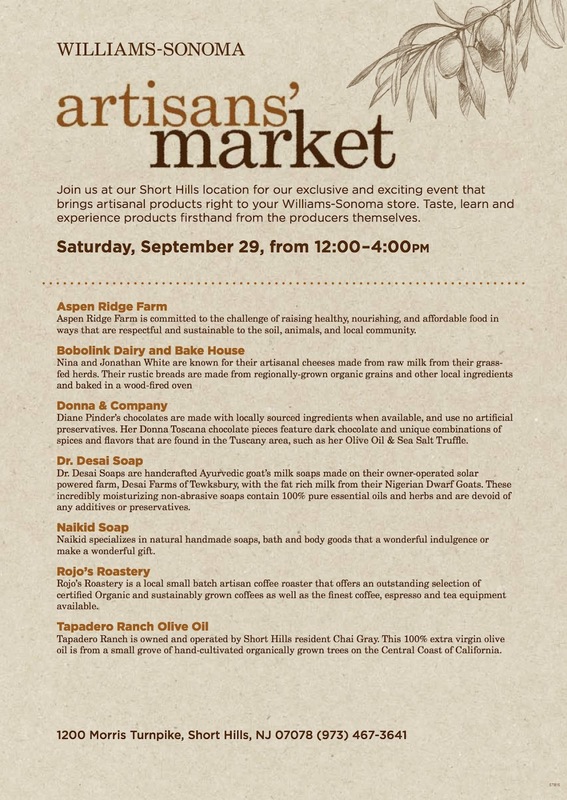 She will have her TAPADERO RANCH California Extra Virgin Olive Oil for tasting and purchase. Please note that purchase is only available during these four hours as Williams-Sonoma does not carry TAPADERO RANCH California Extra Virgin Olive Oil as part of their inventory. As a small grower, Chai is appreciative for all of your help and support.